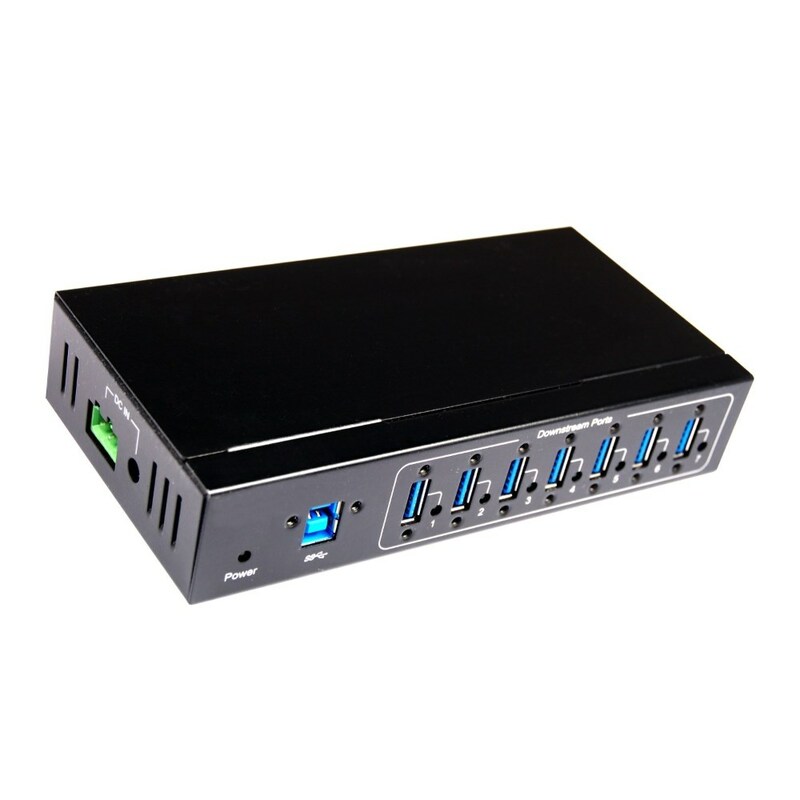 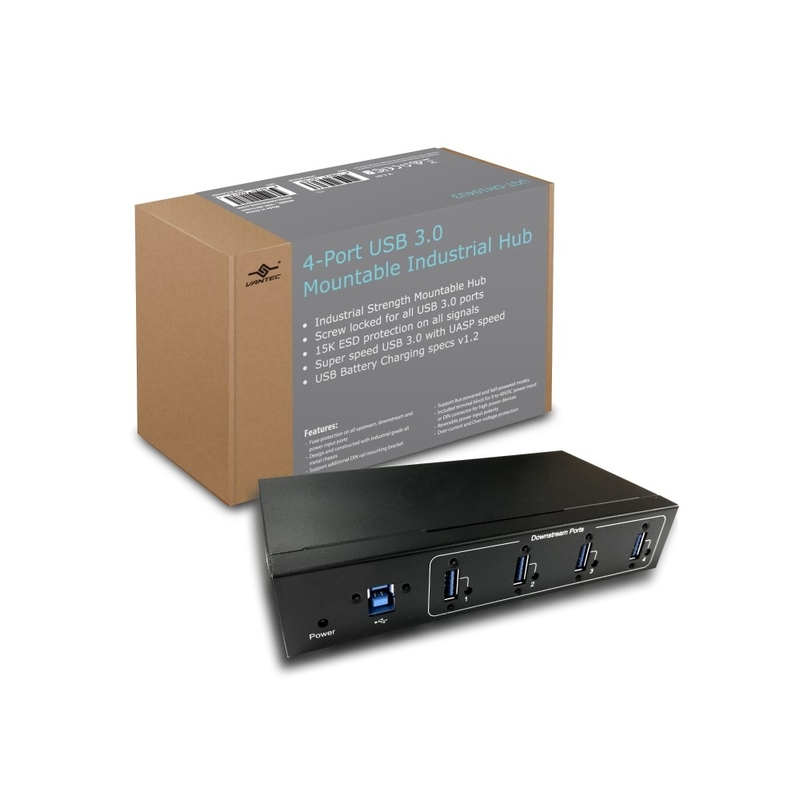 The 4-Port USB 3.0 Mountable Industrial Hub is design for USB connectivity in hush environment. 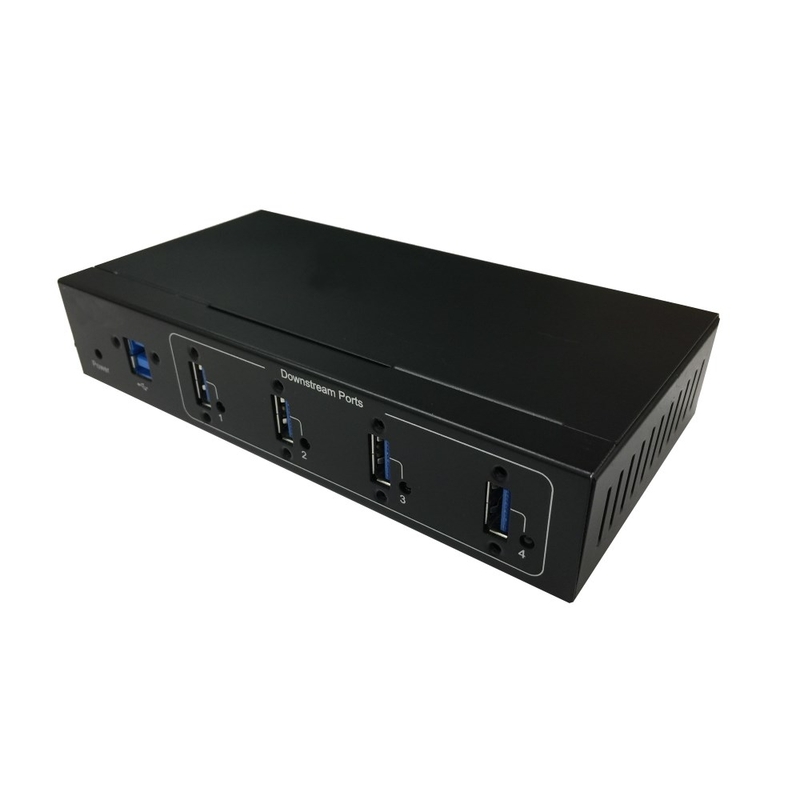 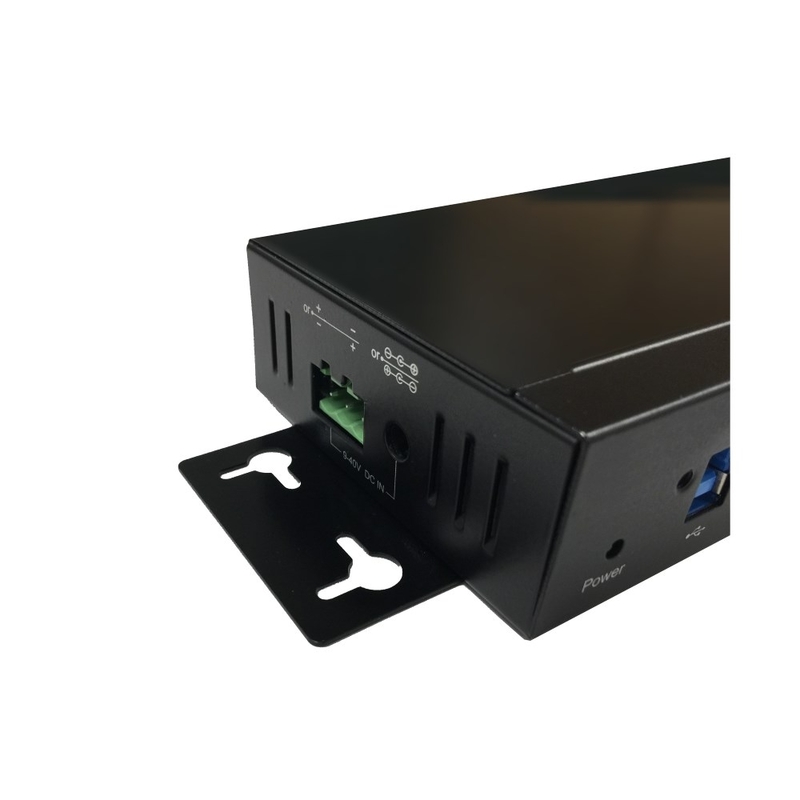 Ready to take on 15K ESD, Fuse protection, and screw lock USB cable connection, this hub comes with mounting kit for mounting on wall or other accessible location. 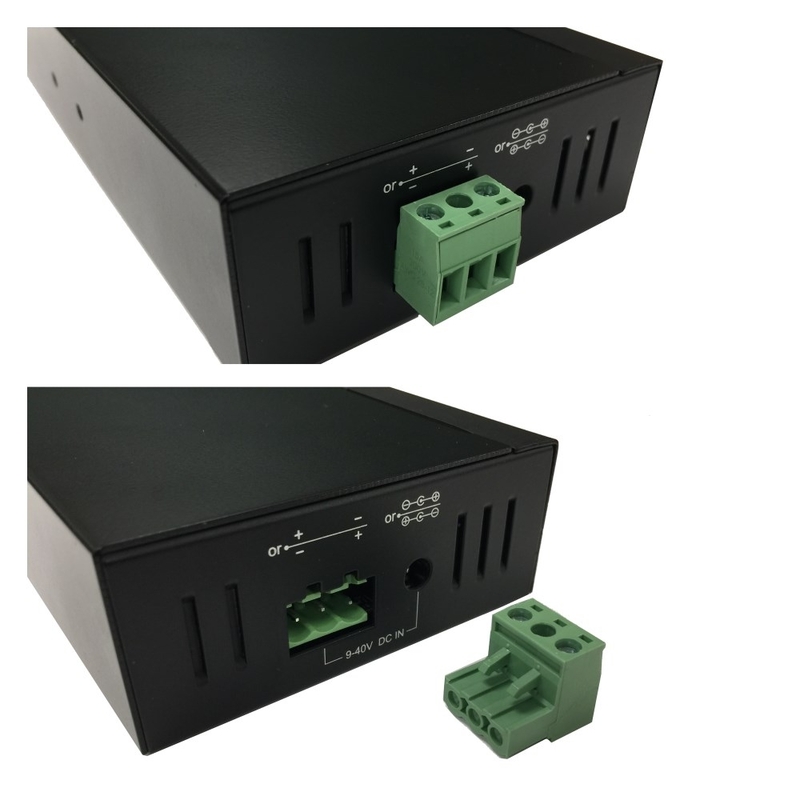 The Power input uses industrial standard terminal block with different DC power input for flexible power environment. 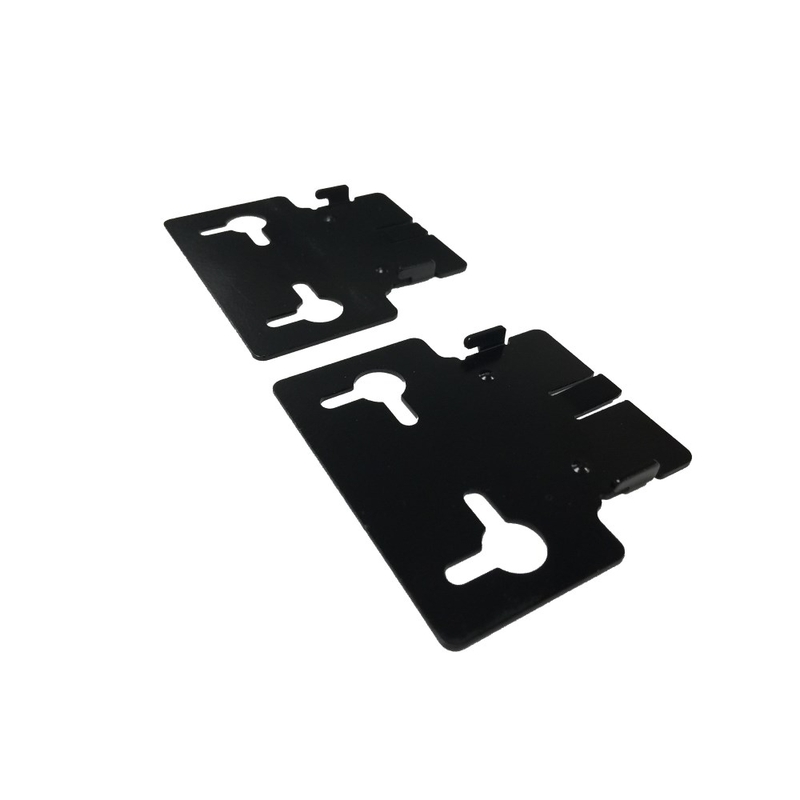 The housing is made with industrial grade metal casing for strength and durability. 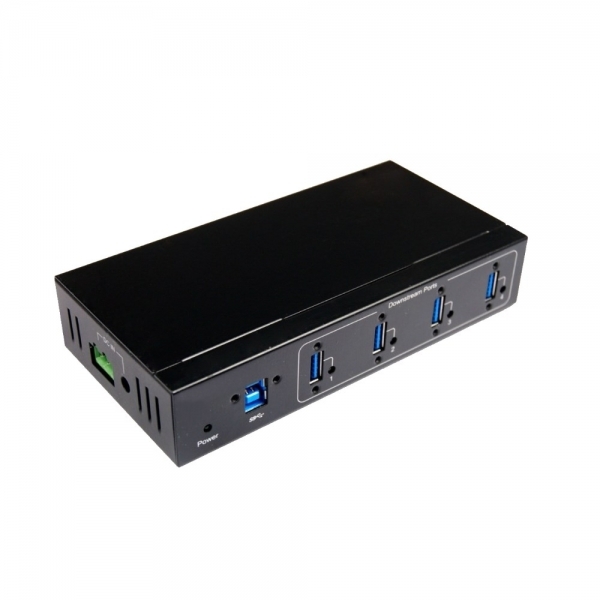 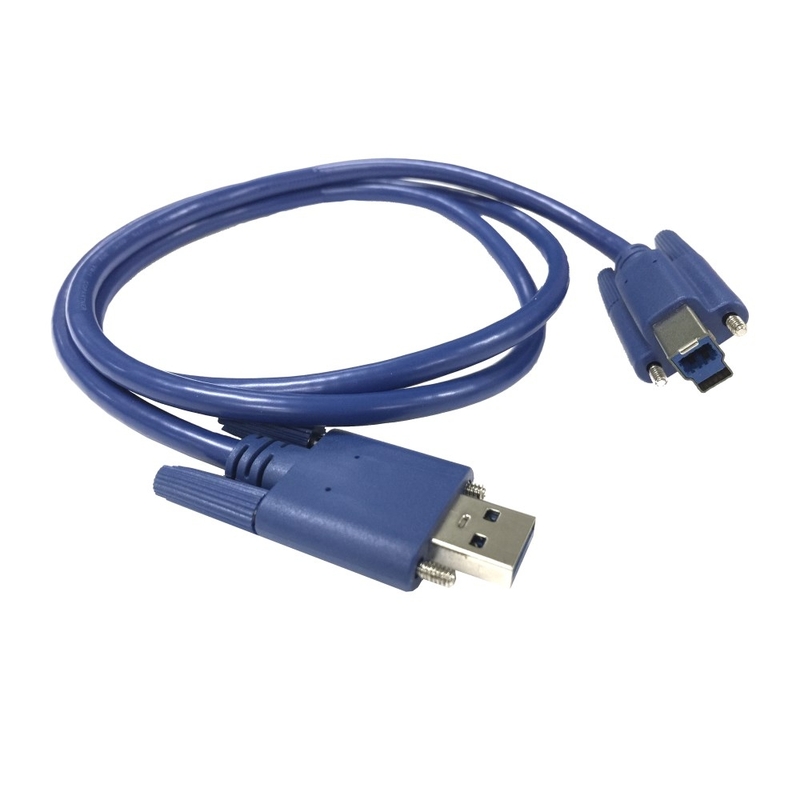 With this USB Hub running at Super speed and UASP pass thru will greatly speed any data transfer.